Aesthetic projects. Gorgeous life style. Flats For Sale In Nungambakkam – Why Wait – Rush Now! 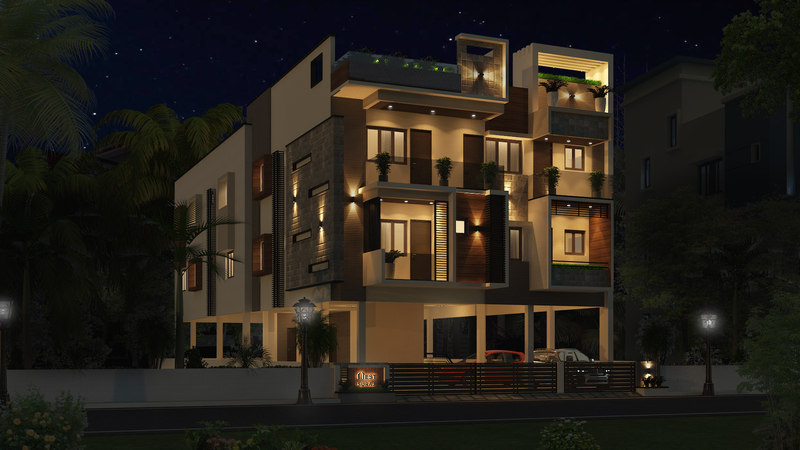 Flats For Sale In Mahalingapuram – 4 Reasons It’s Time To Invest There! Owing a home was my dream and life time achievement. The quality and service of THE NEST motivated me to by one more property. I Own a comfortable home with THE NEST & it became a great source of happiness to my family. These are few of the awards we won over the years. I came to purchase a flat in The Nest and had seen the Model House, which I found to be excellent. I was of the feeling that all the Model Houses would be built excellent to attract the customers, but I was astonished to know that it is not a model house but the flat was built for a buyer which is ready for handing over. Now I am part of the Nest family and I feel awesome. Hi, I have bought a House from Nest builders and I had requested for modifications and I myself expected that only some modifications would only be addressed. But they had done all the modifications, as per my expectations. If you like to own a home as per your design and taste, Nest is the Best Destination. I consider my investment in NEST SWANK to be the Right Investment and my best one. Being my first investment, There were lot of worries and was not able to decide how & where to choose a property. But the clarity which I have got from The Nest made me happy and I need not search for any other property thereafter. Thank You, The Nest for "Satisfactory service even after handover". I am an investor and looking for Ready to Occupy Flats so that I would get Rental income immediately, even though Price of the Ready to Occupy Flats would be higher by 300 to 500 per sft. But The Nest had given me Monthly Rental on paying only 5% booking amount that too with launch price for a construction stage project. Further beauty is that they have arranged a tenant when the flat was completed. Absolutely a Double Bonanza scheme, Hats-off. I bought a flat in the "NEST IPPO" project of Nest Builders, They offered with affordable cost with less extra cost etc. The response from office and executives was wonderful and submissive. We have been part of two projects promoted by THE NEST. Nest team is extremely flexible, always kept their promises & went that extra mile to keep us happy. We are extremely satisfied and glad to be part of THE NEST family. After experiencing a lot of hurdles with other builders, finally I came to THE NEST and experienced good Taste of trust and belief. Now I own my dream castle with THE NEST.